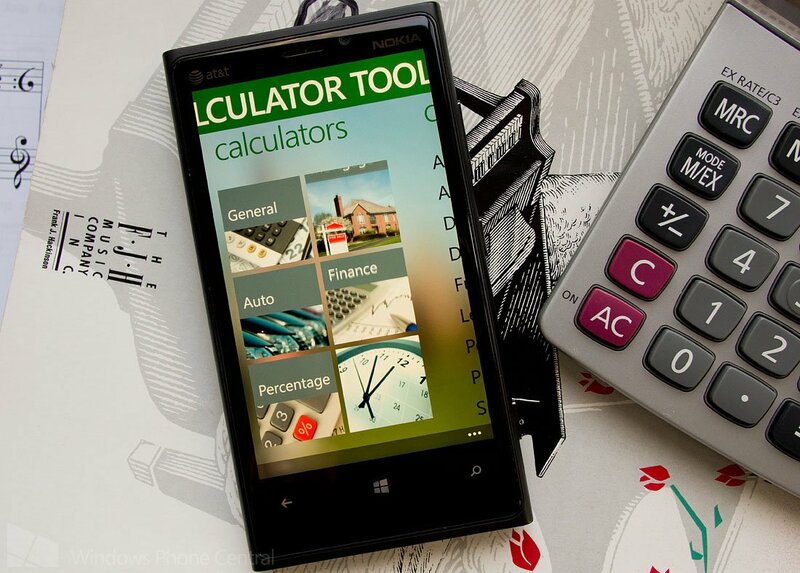 The popular Windows Phone calculator app, Calculator Toolbox, has been updated to version 2.0 and brings Windows Phone 8 support to the table. The version was submitted to the Windows Phone Store for certification the other day and should start to push out in the next few days. For those not familiar with Calculator Toolbox, it is a one stop source for your calculating needs. The app offers thirty-five different calculators that span six different categories. You have the traditional styled calculator, a calculator to determine discounts, one to determine Adult BMI (Body Mass Index, six different mortgage calculators, three different financial calculators and many more. 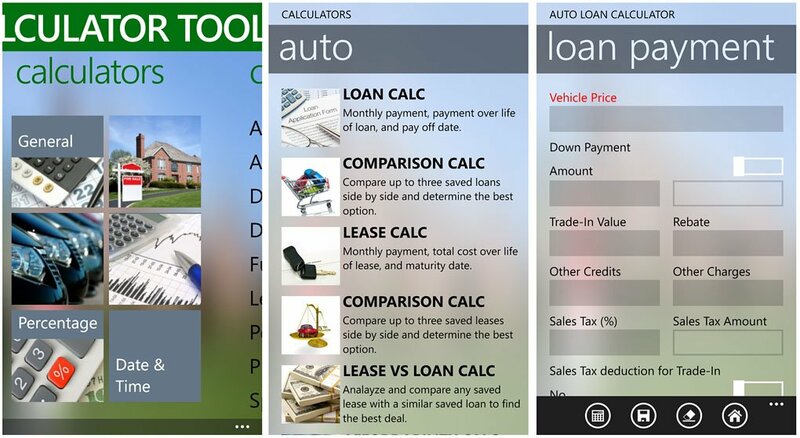 Version 2.0 of the Calculator Toolbox is optimized for Windows Phone 8 with support for the following features. Supports Text-to-speech. Can enable/disable through settings page. It's our understanding from the developer that the new version of Calculator Toolbox uses a completely different database than the current version. As a result, any saved mortgages, auto loans and auto leases won't be ported over to the new backend. They are working on the ability to backup the saved data to SkyDrive which should be added in the next update. Again, the update was just recently submitted for certification and we should see version 2.0 of Calculator Toolbox available in a few days. In the meantime, if you haven't already tried Calculator Toolbox there are two versions available for version 1.12 in the Windows Phone Store. There is Calculator Toolbox Free which is add supported and Calculator Toolbox which is running $.99 and is ad free.